North Korea tested a powerful nuclear device over the weekend, and it intends to mount this weapon on an intercontinental ballistic missile (ICBM) that can reach the U.S.
U.S. intelligence suggests that North Korea tested either a staged thermonuclear bomb or a boosted-fission device with an explosive yield around 150 kilotons, U.S. government sources told The Diplomat. 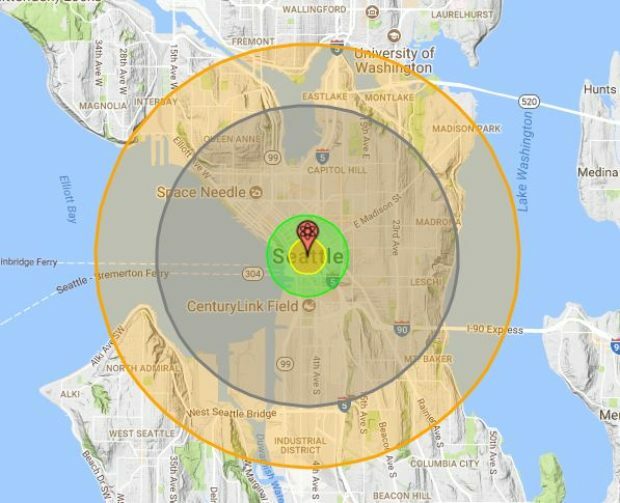 Prior to the test, North Korea revealed images of a new thermonuclear warhead for its Hwasong-14 ICBM, which can strike targets across part, if not most, of the continental U.S.
North Korea called its nuclear test a “gift package” for the U.S., using wording it previously used to describe its ICBM. 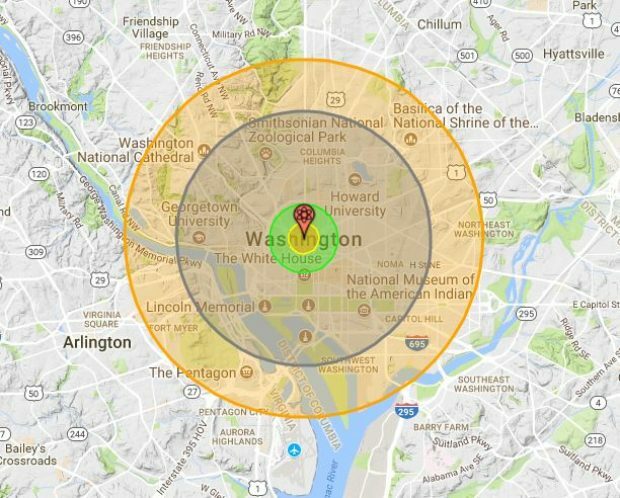 It is difficult to fully grasp the explosive and destructive power of a nuclear weapon, but an interactive tool recommended by some North Korea experts offers valuable insight. 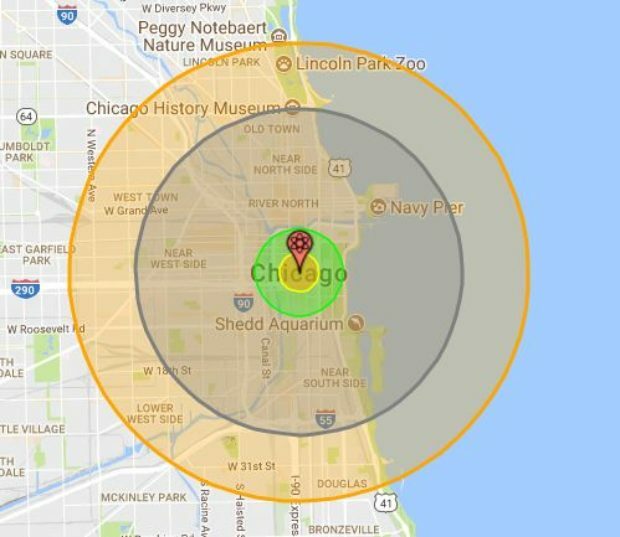 NUKEMAP, created by Alex Wellerstein, a nuclear historian, allows users to see the impact of a nuclear blast on any city anywhere in the world. The casualty numbers are, according to the creator, evocative, not definitive. 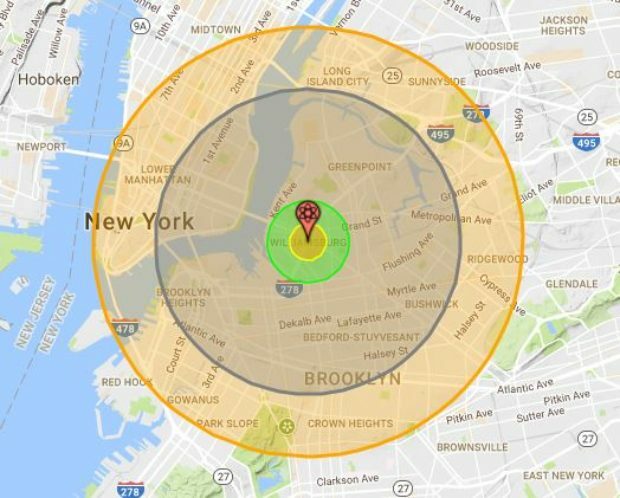 Using this tool, it is possible to examine the impact of North Korea’s new bomb on American cities if it was detonated in the air a little under a mile above. The fireball (yellow, center) would cover an area of roughly 0.25 square miles. 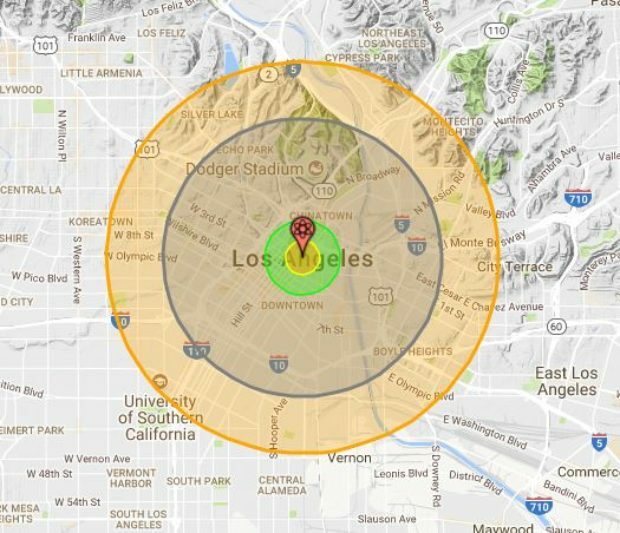 The air blast (grey) would bring destruction to an area of 16.9 square miles. 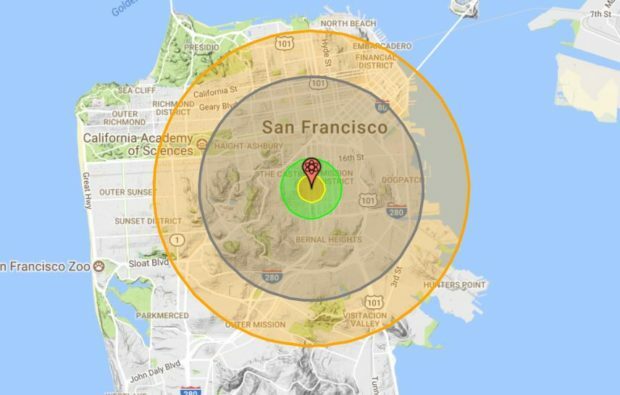 Radiation (green) would affect an area of 1.22 square miles, and thermal radiation (orange), causing third-degree burns, would cover an area of 33.5 square miles. This impact would be roughly the same for all other cities, with only the casualty figures changing dramatically. Regardless, this is one of the clearest indications of the reality America faces as North Korea develops more powerful nuclear weapons and the means to deliver them to distant targets. Of course, any attack on any part of the U.S. would be met with an overwhelming response. 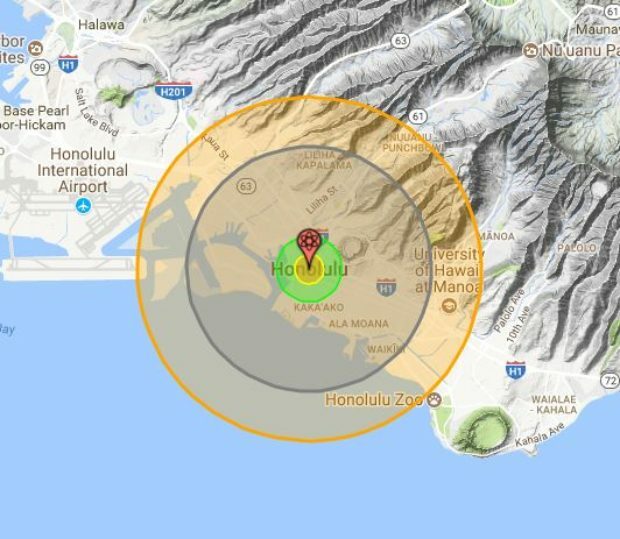 “Any threat to the United States or its territories including Guam or our allies will be met with a massive military response,” Secretary of Defense James Mattis said after North Korea’s most recent nuclear test.